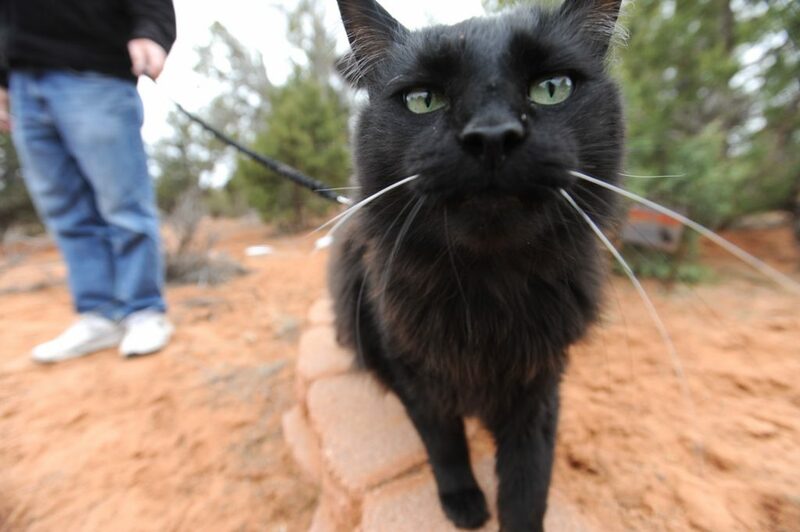 With hundreds of cats in need of daily enrichment and thousands of acres of red-rock Utah land just waiting to be explored, the cat-hiking program at Best Friends Animal Society was a natural development. And it all started with Bob. Bob, a black-and-white special-needs kitty, was the first feline at the sanctuary to take to a harness and leash. 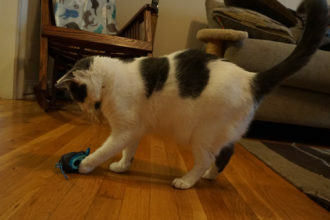 For years, he’d don his harness and wander up to various buildings at Cat World, meow at the door and wait for a treat — a routine his caregivers called “trick-or-treating.” Bob has since been adopted, but his legacy lives on at the nation’s largest no-kill sanctuary because he was a big “inspurration” for Best Friends’ cat-hiking program, which began six years ago. 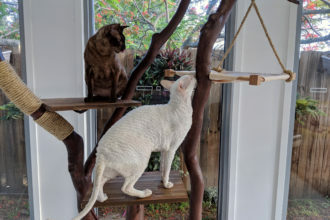 Cats are social animals, as well as predators that aren’t that far removed from their wild ancestors, so they require enrichment activities that allow them to express natural behaviors. Cats that don’t receive enough mental stimulation may suffer from boredom, which can result in behavioral problems. 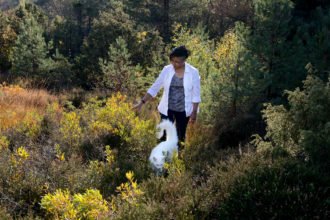 However, regular playtime, clicker training or even some outdoor exploration time can often help alleviate these problems. 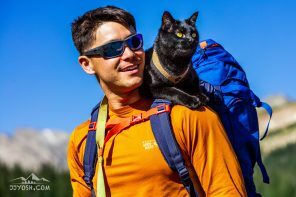 In addition to the emotional and behavioral benefits that leash walking provides, Best Friends also uses its cat hikes as a way to keep its felines physically active and healthy. And for some kitties, such exercise is critical for pain management and mobility. 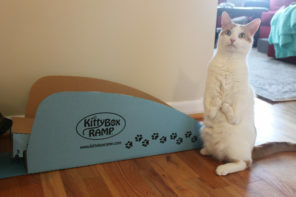 For example, cats with Manx syndrome benefit from regular walks because it keeps their muscles in good shape. 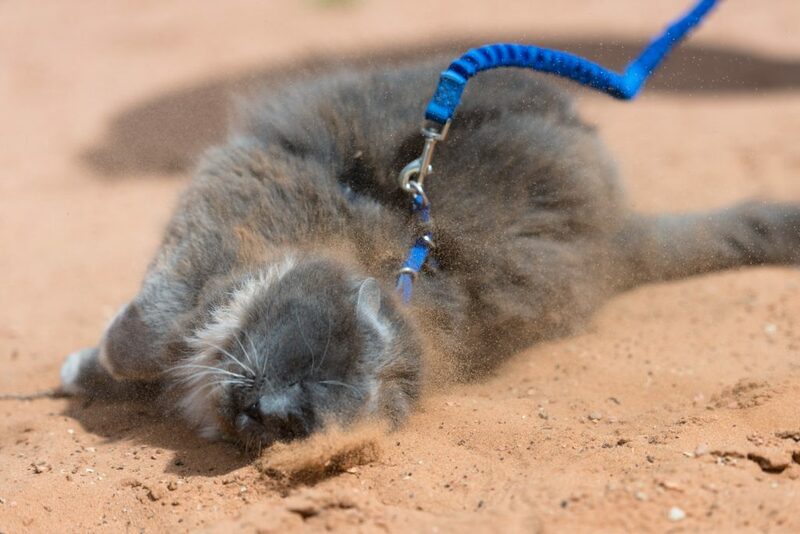 But with 500 to 600 cats to care for, how do Cat World staff and volunteers manage to leash train them? 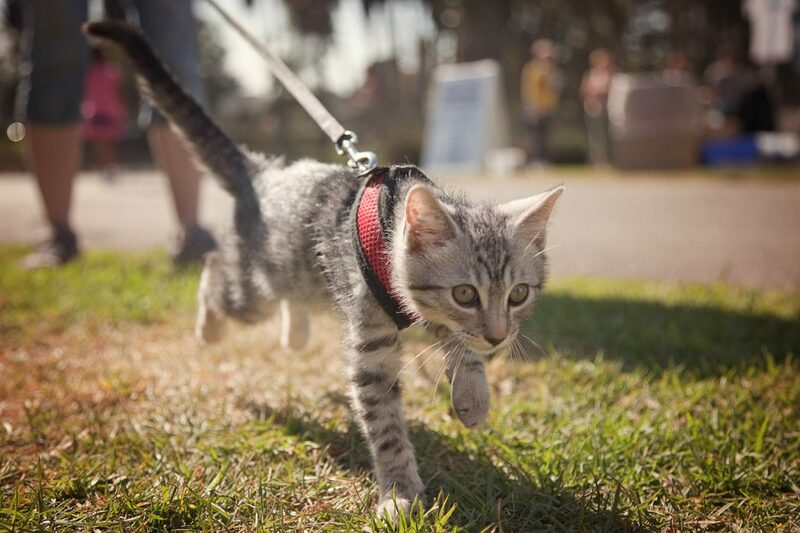 The same way you leash train your own cat: one step at a time with lots of positive reinforcement. 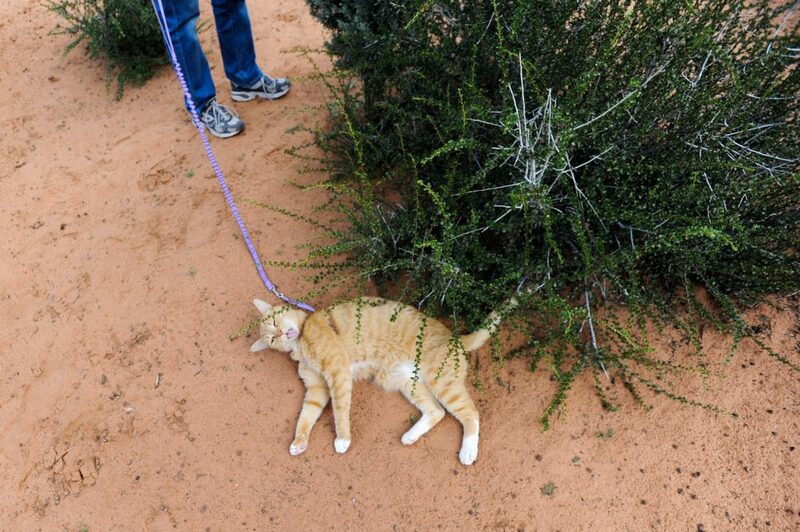 However, just because a cat is leash trained doesn’t necessarily mean he or she is going to cover great distances. Warfle says that some of the cats, including her own leash-trained kitty, will walk for miles while others prefer to simply curl up in a sun puddle for a catnap. 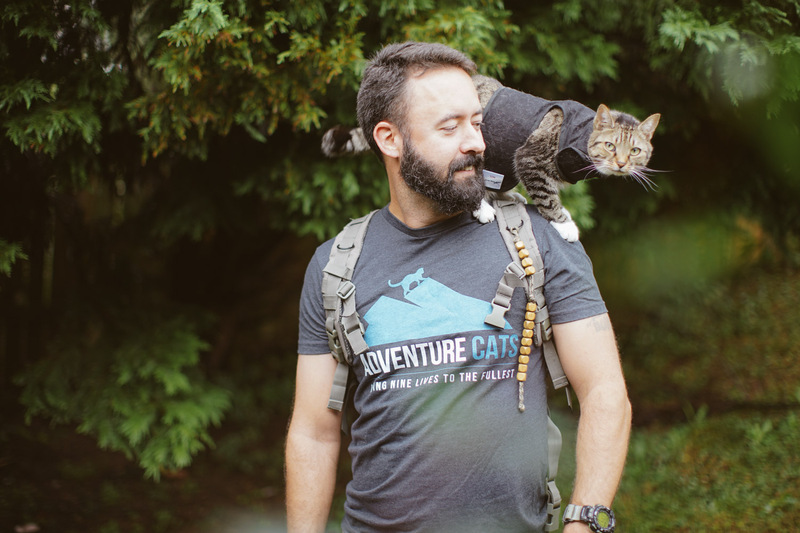 Of course, not all of Best Friends’ cats take to a harness, but luckily, even these kitties can still enjoy the great outdoors. 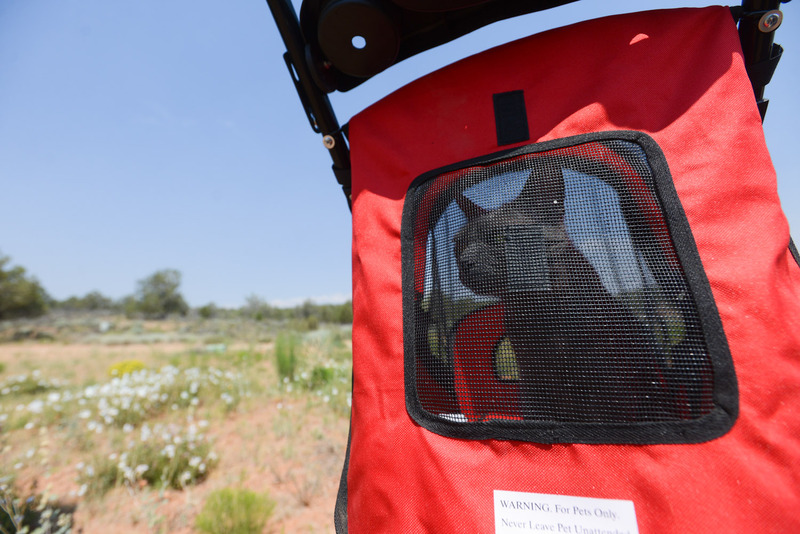 Each of the sanctuary’s felines has access to a screened-in patio, and more than 100 of them also enjoy regular stroller rides. 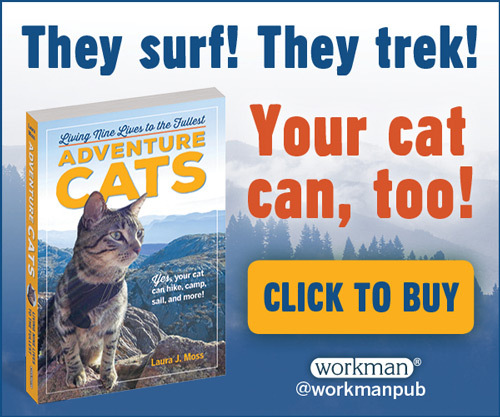 Better yet, adopt one of these special cats and you’ll never hike alone. 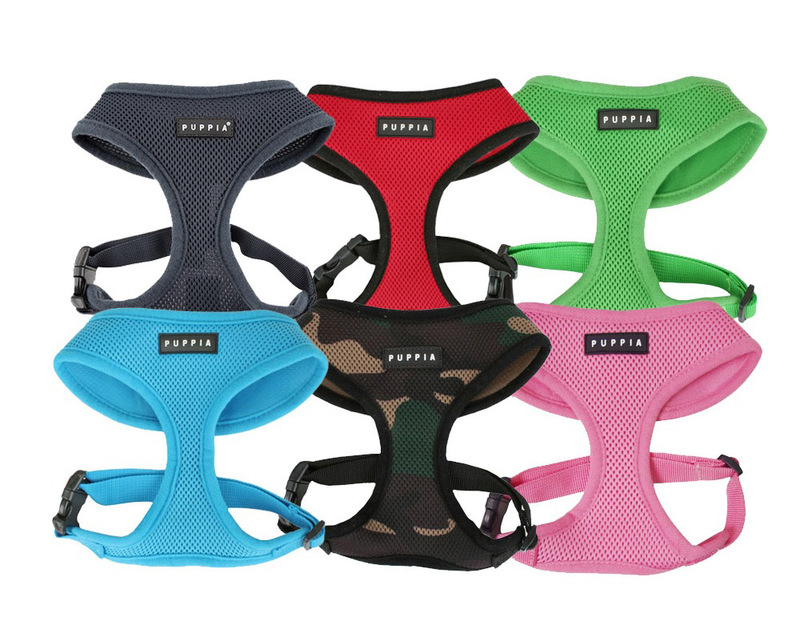 Warfle says they’ll even send the harness along with the cat. Photos courtesy of Best Friends Animal Society and Cody Wellons. Thank you, Danielle! 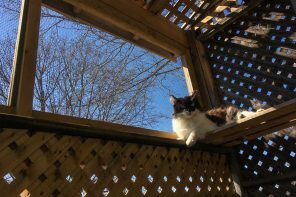 We spent a few days at Cat World last year and were amazed at what a wonderful, caring environment you’ve created for those kitties. We hope to visit again soon. Thanks for all you do!